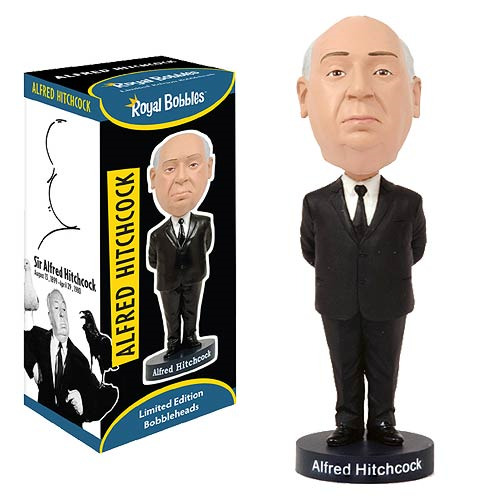 Alfred Hitchcock Presents… this fantastic bobble head! The Alfred Hitchcock Bobble Head is a must-have for any fan of the original Master of Horror, Alfred Hitchcock. Measures over 8-inches tall. Ages 13 and up. Made from ceramic.